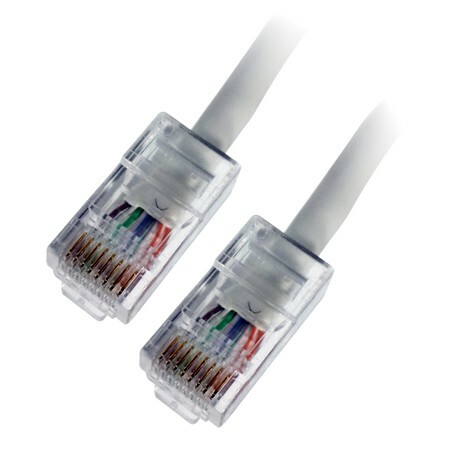 Designed specifically for in-wall installations, our VidaBox Plenum CAT5e wire is UL tested, and meets CMP or plenum cable standards - permitting it for use with any in-wall, plenum, and riser CAT5 runs, or any other any location. Plenum spaces - like the spaces between a drop and standard ceiling, or HVAC ducts - allow fire and smoke to travel quickly. In the US, plastics used in the construction of plenum-rated cable are regulated under NFPA (National Fire Protection Association) standard 90A, which dictate that plenum-rated cables must be made of fire retardant plastic jackets, with either low-smoke PVC or FEP. 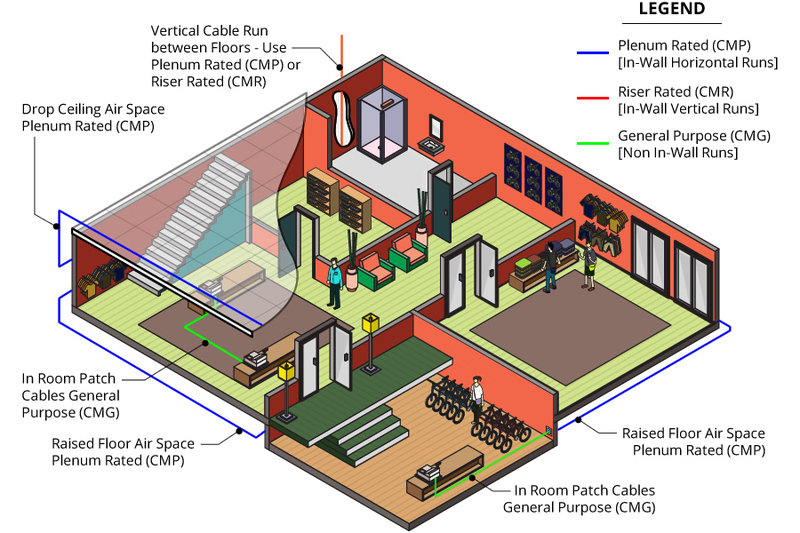 This requirement ensures that fires that start in one location do not rapidly spread throughout a building by traveling along the length of the cable. 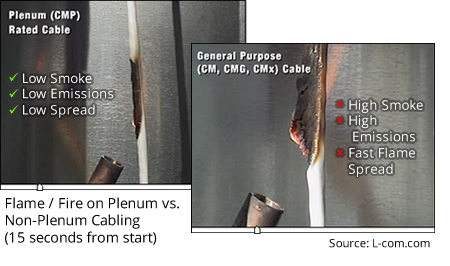 - insurance claims may be denied if local building / fire codes requires the use of plenum cable, but non-plenum cable was installed. Why choose VidaPower Plenum cables? 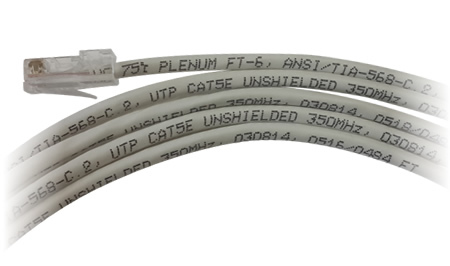 Plenum cables are the highest standard and can be safely substituted for any other cable type. 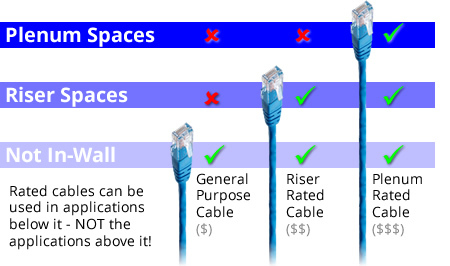 When in doubt, Plenum cabling can always be used in place of other lower-rated cabling (such as riser, CM, general cables). We kit, hand assemble, and test every VidaPower Plenum Rated CAT5 cable right here in Long Island, New York. We know your tablet setup / project incorporates hundreds or even thousands of dollars in time, software and hardware - so we thought it would be best to guarantee a plug-n-play experience for your display... from right here in the USA!